An ex-Bandai employee’s lawsuit alleges discrimination and racism in the work place. According to My News LA, Tony Le, a Vietnamese-American, isn’t only suing Bandai America Inc. and Bandai Namco Holdings USA Inc., but also some of his former bosses over alleged discrimination, harassment, and wrongful termination, among other claims. The suit, My News LA reports, states that Le worked in the U.S. as the company’s senior manager in financial planning, but soon after being hired in 2010, he alleges issues of discrimination against non-Japanese employees. Le and other employees who were not Japanese were subjected to verbal abuse in Japanese, condescending gestures and “obscene laughter,” the suit alleges. In 2013, Bandai’s former CEO, Matsuo Masayaka, told Le, “All you Americans are so stupid and don’t know how to run a business”; “If I could I would fire all the Americans”; and “Japan should have bombed Pearl Harbor again,” the suit alleges. Other supervisors told Le he was a “stupid American” for enrolling in USC’s MBA program, according to his lawsuit. ...He alleges he also was excluded from company meetings and dinners in which only Japanese employees were invited. Le also alleges he was denied information necessary to do his job and says he was told to “remain silent” after bringing it up with human resources. The suit says he found out his position had been eliminated last March, claiming he was the only person working in financial planning in the company’s U.S. branch. The suit alleges he was terminated due to discrimination. 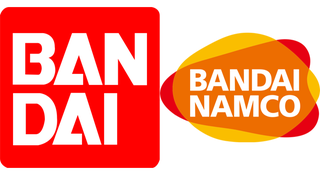 Japanese site Sankei News contacted Bandai Namco Holdings for comment, but the company declined because of the lawsuit. Kotaku is reaching out to Bandai Namco’s U.S. branch for comment.